I am an Australian voice over artist with hundreds of jobs under my belt, and can produce a variety of sounds. I can do natural, sarcastic, corporate, young, conversational and more. If you're looking for something a little challenging or needing someone to sound realistic, we can have a chat about how I can help! 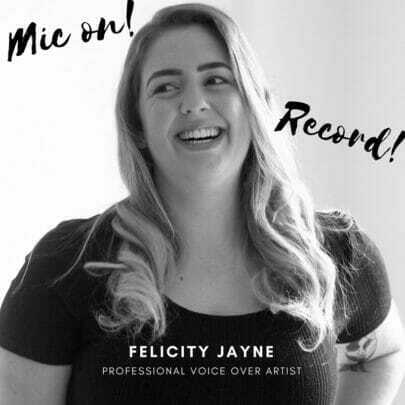 I'm have experience in radio and voice over work outside of Fiverr, as well as performance training, so I'm sure I can help you with whatever your project requires! If there's something else...just ask! I look forward to working with you to create a great audio product for your needs! 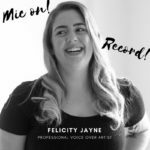 I'm have experience in radio and voice over work outside of voices.com.au, as well as performance training, so I'm sure I can help you with whatever your project requires! Please select extra fast delivery for guaranteed 24 hour turnaround.